The last card class that I taught, I challenged the others to stamp up a master board. I had run out of white card stock, so stamped mine in espresso ink on a cream card made from recycled elements. 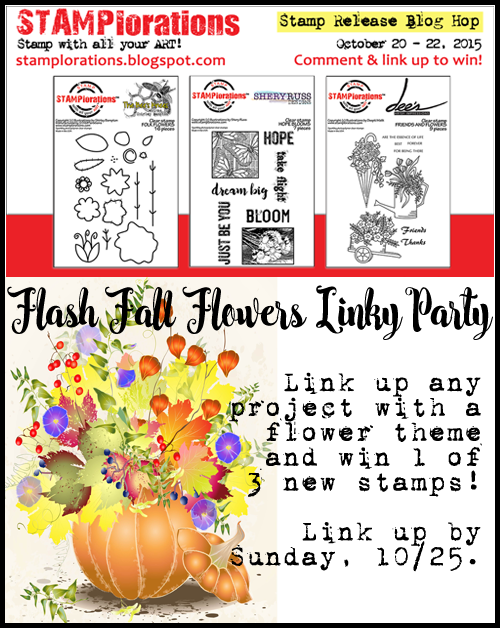 I used the big daisy stamp from Kiwistamping (one of my originals) and a butterfly from Hero Arts - another older stamp, now discontinued. After cutting the master board into four, I then added the small flower, part of a Layers of Color set that I have, and the birthday sentiment both in Sweet Plum ink by Memento, and coloured the images with chalks. and made a flower from pale mauve card that I had sponged with the ink and then applied WoS to. The edges of this panel were sponged, and then it was mounted over some matching plum coloured card, which I doodled around the edges of with a silver pen. I tried a new technique the other day - I do not recall where I saw it, but basically you ink your choice of embossing folder and letterpress your card, and once the card is dry, then emboss it using another folder - I used a very 'wet' pad of Tea Dye DI and the result was a slightly bubbly looking print, but I was happy how it turned out. I then stamped, and re-stamped, and stamped again the ivy image (five times in total) - note to self, don't try and stamp so soon after having a migraine!! I then stamped and embossed the sentiment down one side of the image panel. I am so enjoying using this (relatively new to me) stamp. The panel was mounted over a rust coloured layer, and then mounted over some twine wrapped around the base, (using foam tape) and some buttons added. The final detail was to paint two layers of WoS on the leaves for the subtle sparkle I managed to capture in the photo above. I wanted to make a floral card, and a CAS one, but this wasn't quite CAS enough to enter into the challenge that I initially was thinking of!! it is perfect for two STAMPlorations challenges. I took her colours and layout, and stamped and fussy cut the dotty flowers and the stem from two (now discontinued) stamps sets I have on hand, and then layered them onto the card, using thin foam dots between the top layers of petals, and finished it with a clear rhinestone. I used a yellow washi strip down the side of my card, that looked orange before I unrolled it, but as the yellow 'worked' on the card, and the wee flowers fitted, I used it. The sentiment is by Montarga (a NZ stamp company). This is another card order. I had printed and embossed the sentiment twice when I made the first card. The ornaments are some that I had printed out years ago and I found them when I was tidying up recently. I painted them with Inka Gold metallic pastes, which when used with a wet paintbrush, paint in small areas beautifully! I had no red Inka Gold, so used a red ball point pen and went over it with WoS. The ornaments were fussy cut and 'hung' with silver cord. They were mounted with foam tape over a panel that some weeks previously I had tried the faux metallic technique on. I had no perfect pearls, so tried a product I have had for years called micro pearls, but they did not give the same lustre, and I ended up putting it into my "promise box". The feature panel was mounted over an embossed panel, both panels were cut with a Memory box stitched rectangle die, and the vellum sentiment folded over the base of that. Some punch waste went the length the red card base under all the other layers for a final shiny detail. I needed another card in a hurry the other day - the postal service here has done a dive in the last few years and I need to be ahead of the game and get my cards away allowing at least a week for delivery. I received a gift recently with a wonderful tag on it, and immediately wanted to use it again - ah yes, I am a bit of a pack rat and re-cycler when possible. I immediately saw that the edge of the tag had a very narrow dark brown edge, and this actually dictated the rest of the card. I love cream and brown, and added to that a layer of texture, and a few touches of gold ribbon and voila! I had a card that I was very happy with. 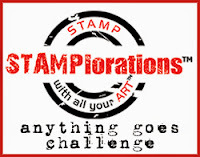 I stamped the sentiment with one of my original stamps, bought from Kiwistamping - the people who started me on this stamping/card making journey!! I broke out my mew Memory Box Steampunk Cogs Die, and cut that die, and another few cogs from a (new) Cheery Lynn set out of a bronze card, and sprayed it with gold perfect pearls to give a little more sheen to it - I am still in two minds as to if I like it or not, but I had to just push on at the time. The sentiment stamp was embossed with gold ep - it was also a new stamp from Montarga (a NZ Company). These close ups show the detail in these dies - I did not spot that I had missed removing some waste until after I had taken the photos, but I did manage to get them out before the card was dispatched. The die cuts were adhered to green card stock, and then onto black. A very quick card for me, but I am happy with it. This is my final post as a Design Team member for CCC Digi Creations. I am sorry to be leaving the wonderful team, but life dictates that I need to spend more time on other things. 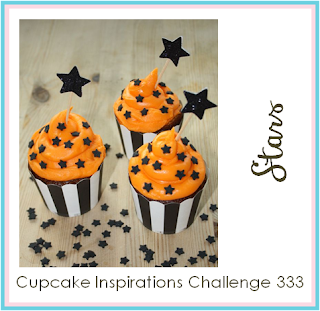 Challenge #35 this fortnight at CCC Digi Creations is Anything Goes, and we are being sponsored by Karleigh Sue and Faery Ink. I printed her out and then coloured her with prismacolor pencils, then cut the coloured image out with a Spellbinders Exquisite Circles, and layered her over another die cut from the same set. Although not obvious in the photographs, I used Glossy Accents on her sunglasses and sundae glass. A leaf die cut, and some flowers from a set I bought way back when I first started cardmaking adorn the corner of the image ... I coloured the paper one lightly with Rhubarb Stalk ink, and then added a rhinestone in the centre. The sentiment was white embossed on the scrap of red card, cut to a banner shape. The final accents were the silver glitter butterflies. The dots on the paper behind the die cuts are a shiny red and add yet another layer of interest. It's good to be back here and not in the garden... although the gardens are looking good now, there is still work to be done. The inspiration for this card has come from several sources, not the least is Beccas Hop To Stop. Becca is passionate about preventing, and making people aware of, Domestic Violence, and has created this hop to raise awareness. One of the requirements is to make a card featuring purple, one of my favourite colours. The sentiment is a Stampin' Up one from a set of the same name. I swiped two colours of purple ink direct to paper across the base of the card, stamped the birds in a stack, partly painted the birds with ink, and sprayed the card with purple Smooches. I tried to photograph the sparkle the Smooches gives, but it would not co-operate! I have been out in the garden a lot at the moment as it is spring here in the Antipodes and the weeds need to be removed and new vegetables planted. I have also planted a 'bee' garden this year with lavender, marigolds and chives in it thus far. This card is one I made for a relative who loves butterflies, so I never have to really think about what to put on her card :-). The card is very simple with a piece of dp from an old Prima pad, Fairy Flora - one of my first ever purchases of patterned paper!! The sentiment and butterfly flight paths were embossed with the Metallic Medley ep. It is very sparkly and hard to photograph in such a way to really show the true beauty of it. The butterflies were cut from a scrap of card I 'played' with my gelatos on, and then coated with WoS. The butterflies were cut with a Memory Box 'Pippi' die I bought at a stamp expo earlier this year. I used the image "Birthday Girl" on a tag shaped card, and also added a small tag as well, behind the main image. The Birthday Girl has her violet rinse all freshened up, has put on her birthday shirt and shiny shoes and ear rings, and is already to roll with her (shiny) balloons in hand. This sentiment was hand written with an embossing pen, and embossed using silver ep. The 'serious' sentiment was also silver embossed onto the final scrap of ivory and mounted on a purple tag I made, and tucked behind the image panels. I am sending this to a friend who will think it is hilarious.